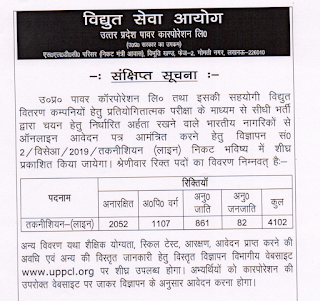 UPPCL Lineman Recruitment 2019 Only 10th pass eligible to apply for Linemen vacancies in UP. More details are listed below in medium of Age Limit, Qualification, Selection Process and Salary. ESIC UDC Clerk Syllabus 2019 Now You are eligible to check ESIC UDC Clerk Model Question Papers & Answer ESIC UDC Clerk Exam Pattern That are written by official notification of ESIC Upper Division Clerk Recruitment 2019. UP Chakbandi Lekhpal Syllabus 2019 is Based on UPSSSC Pre Mains & Here you will pdf on How to Qualify UPSSSC Chakbandi Lekhpal Exam Question Papers 2019. So Lets read some important point on UP Chakbandi Lekhpal Exam Pattern 2019. Vijaya Bank Peon Syllabus 2019 Here You will check both Vijaya Bank Sweeper Exam Pattern & VB Peon Expected Model Papers that comes in upcoming exam of Vijaya Bank 421 Peon Recruitment 2019.